Tickled Pink Knits’ Etsy profile – also check out her shop & pattern shop! 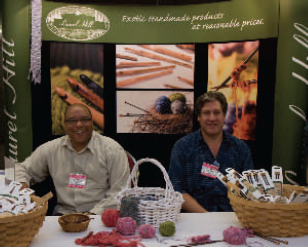 Come Visit Us at TNNA! We will be at The National NeedleArts Association Conference from June 12-14 in Columbus, Ohio! Will you be there, too!? Knots of Love’s Christine Shively: An All Star Among Us! Check out Christine Shively from Laurel Hill partner Knots of Love holding a LH crochet needle in this People Magazine spread! Christine was honored as an Major League Baseball/People Magazine All Star in 2009. People Magazine and MLB are accepting applications for 2010 All Stars? Know someone who deserves to be recognized? Nominate them here.